Well folks we had a busy December. 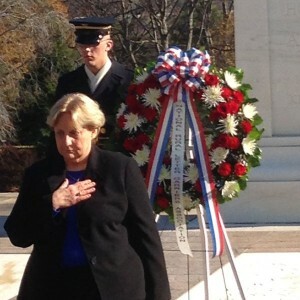 We had the privilege of seeing my wife, the President of the NRLCA, lay a wreath at the tomb of THE UNKNOWN SOLDIER at Arlington National Cemetery. I would like to thank Sgt . Diez for arranging a tour of the Pentagon for us. That was exciting!! 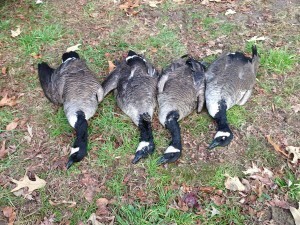 Also while up north I was invited on a Goose hunt. 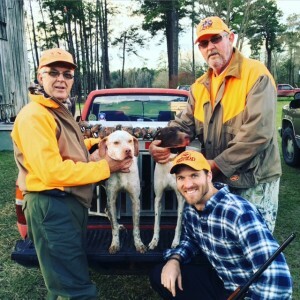 We hunted Navy Vet Bobby’s farm and got our limit of 4 by 10:00. We also scheduled a youth hunt for the week after Christmas. As it turned out the youth hunt was not good due to the weather in the 50’s. However the youth , all 6 enjoyed themselves. Speaking of weather it also had an effect on Andy, Alan and Victor’s deer hunt in Iowa. 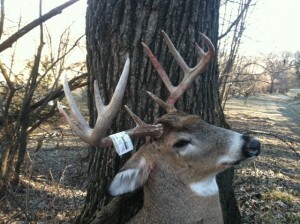 They only shot one deer for the two weeks, however as you can see it was a nice deer. We could have some exciting news from Iowa later this spring. Alan and Victor are working on it!! Now for a recap of HONOR AND VALOR’S first year. We did for over 100 military personal, which averages two a week. Here is a rough breakdown. Folks we look for things to do every day and sometimes we forget. Cab fairs, haircuts—whatever we can do for a vet or active duty we do!! I realize as a 501c3 , stewards of sponsors and donated money we are to verify what and how we do. Follow us on our NEWS PAGE for updates and photos. We plan to start a video program this year to better show you what and how we do. Now on to 2016!!!!!! We are off to a great start!! Outfitters Roy and Gary took CPT. Joey on his first Quail hunt on SAT. Then on Monday Roy and Larry took Cpt. 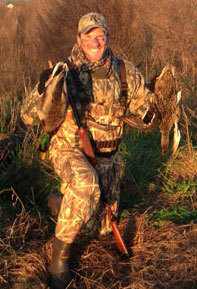 Joey on his first Duck Hunt on the Impoundment that Harry and Sonny built for the foundation. Results, a pair of MALLARDS!! Those guys can shoot!! Cpt. Joey said they were going on the wall in his office!! After the hunt we enjoyed breakfast and fellowship and discussed how the foundation can grow. Roy took the trophies to the taxidermist!! Thank you Cpt. Joey for your service and allowing us to share these times with you!! SALUTE!!. Larry and Vietnam VET PAT have had some success Dove Hunting during this cold snap!! Our entire staff is going to the Shot Show on their own. We will be working hard to spread the word about HONOR AND VALOR FOUNDATION and to seek sponsors. After the show we will put together a plan of action for the year. If you are a DOER—MOVER AND SHAKER and want to be a part of something SPCIAL— Get on board!! That is what Dean an Jk did in Nashville, Tenn. They both are VETERANS and are in the music business. The MUSIC CITY HAYRIDE is held at the TEXAS TROUBADOUR THEATER!! These guys support HONOR AND VALOR FOUNDATION and we are proud to tell you if you visit Nashville go take in one of their shows. Their show is downtown NASHVILLE!! Great music,great fun and GOOD PEOPLE!! Better still take a VET WITH YOU!! MUSIC CITY HAYRIDE!!>>>SALUTE!! Look for them on our supporters page!! Until the next update>>>>CARRY ON! !